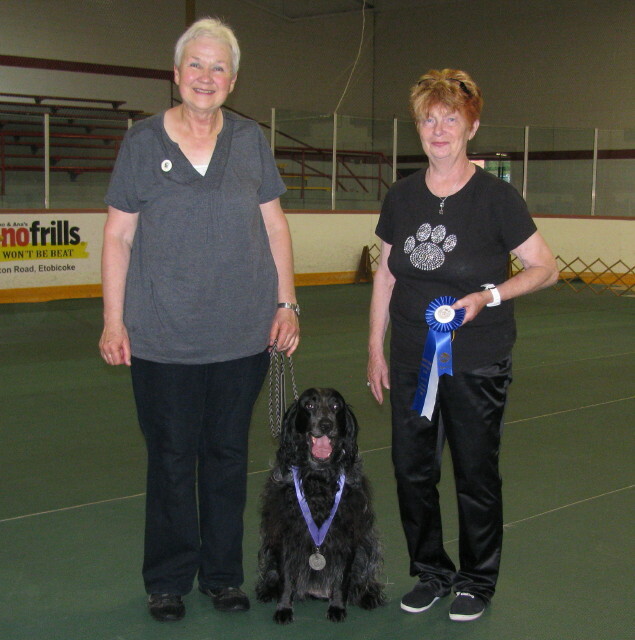 Indigo is now the first ever Blue Picardy Spaniel to achieve a CDX Obedience title in Canada. Even though her trainer Cheryl wasn't real pleased with her score, her breeder (me) was thrilled to watch her work from ringside. Yes she did throw in a few "Blue" traits, like using her nose to get to know the judge better. We all know how the Blues learn a lot about life with their noses. Where we have been, who we have been with and if we may have "cheated" on them by petting another dog in their absence. I was on the edge of my chair, when in the final exercise (the down stay) Indigo wasn't really sure if she felt like laying down. Cheryl told me later that she sensed Indigo was just about to tell her that if someone needed to lay down maybe Cheryl should instead. Indigo eventually did do the down and held her stay to complete the exercise. 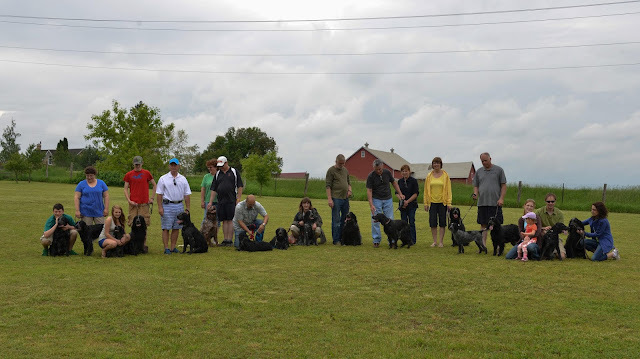 It takes lots of training and dedication to compete in obedience and every trainer has walked out of the ring a few times and wondered where their dog learned that "silly thing" they just did in the ring. I believe the Blue Picardy to be a very intelligent animal and I saw evidence of that watching Indigo work. I also saw the "clowns" they can be at times which we know only endears them even more to our hearts. A GREAT BIG THANKS to Cheryl, John, Sharon and Elijah and of course Indigo. Onward and upward to the next level of obedience, stay tuned. 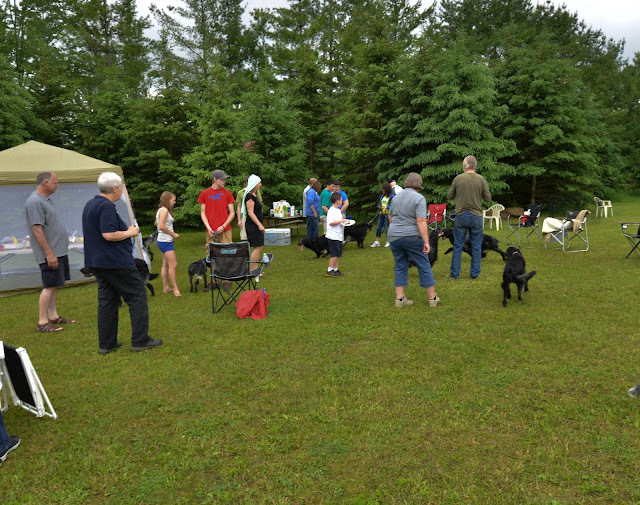 More photos of the Blue Picardy picnic held on June 1st. These pictures are courtesy of Ryk Narell. RYK PHOTO AND DESIGN. Thanks Ryk for sending these pictures. It was great to see all the Brighthope Blue Picardy Spaniels at the picnic on June 1st. The weather was good (one 5 minute downpour) and the Blues and their owners were great. Everyone commented on how well all the dogs got along. I have said it before about the wonderful temperament that the Blue Picardy has and when I see them all together it just confirms it. But I did draw another conclusion this weekend, I think Blue Picardy owners have great temperaments as well :-))). Thanks to everyone for coming out. 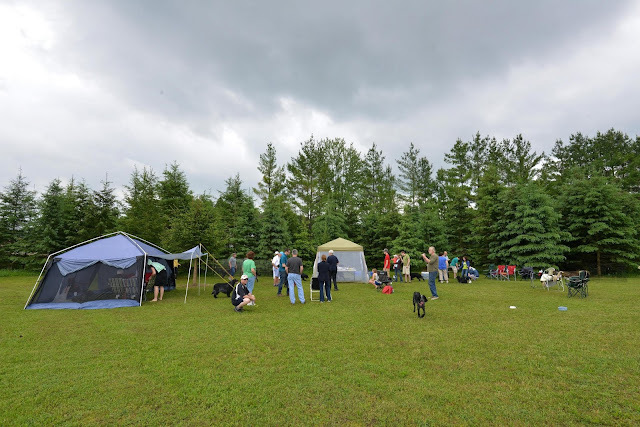 We are a small home based kennel registered with the Canadian Kennel Club. We are dedicated to producing healthy, happy puppies for the enjoyment of future owners and for the betterment of a breed we have come to love. 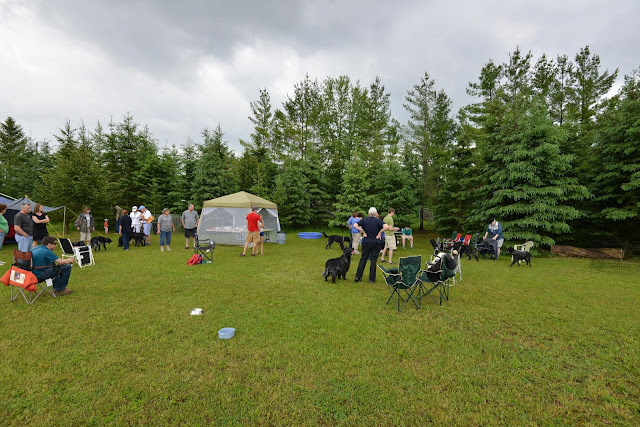 While our first Blues arrived in 2004, our involvement with purebred dogs spans over 20 years and has included many disciplines such as conformation, obedience and agility. 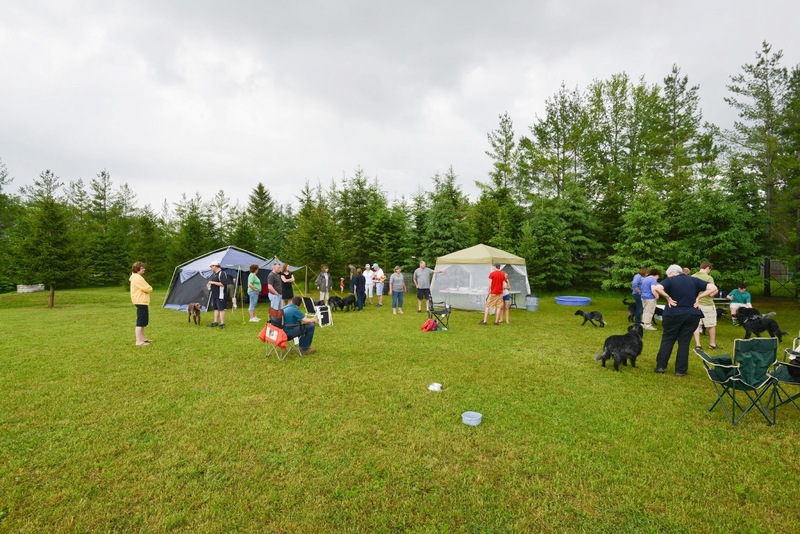 We have also owned and operated a boarding kennel, taught dog obedience and visited local nursing homes and schools. Our dogs live in our home and are family companions first and foremost. They spend their time "hunting" in Picardy Park, snoozing on the sofa, going to shows and trials and just hanging out with us. Our dogs have always been a full time commitment and the Blue Picardy Spaniel has made that easy here at Brighthope Kennels.